Husband-and-wife team Rip and Alison unite their talents in the creation of their work, through Caswell Sculptures. Their sculptures that can be found in public spaces, commercial developments and private collections in all 50 States as well as abroad, are born in their studio at Troutdale Art Center. Rip and Alison's ability to capture emotion and tell stories through sculpture invites the viewer on a journey into the wild. 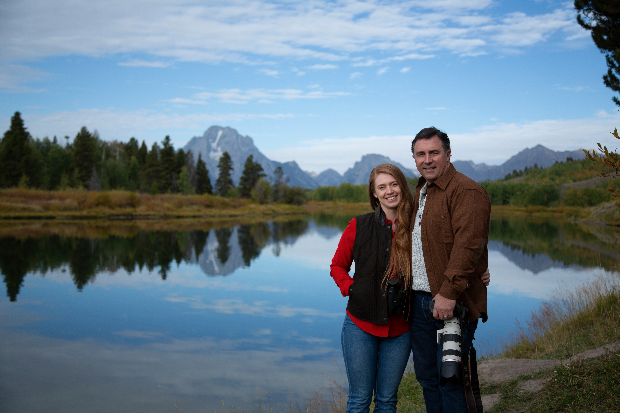 For the Caswells, nature is both a source for living, breathing reference material, and a sanctuary to renew and foster inspiration. They hope that through their art, they can share a deep appreciation for the animals they love, and that the eyes of their sculptures may serve as a window into the life, spirit and personality of the subjects they cast in bronze. Their mission through artwork is to revitalize the bond between man, animal, and our wild environment. Click on the picture links for more information on the individual works!